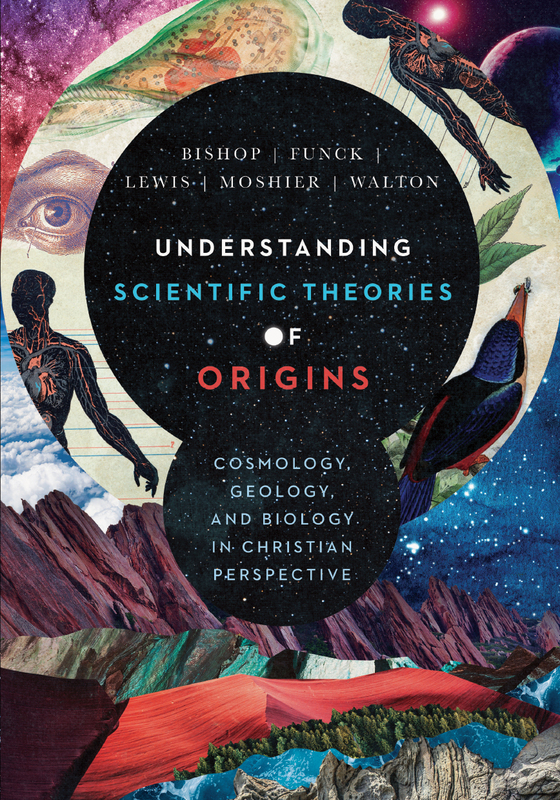 This last week I received a new book from IVP Academic: Understanding Scientific Theories of Origins. This book is the joint effort of five Wheaton professors and grew out of a course they’ve been team teaching for two decades or so (along with a handful of other colleagues). Their collected expertise ranges from Physics to Old Testament. Robert Bishop is professor of physics and philosophy, Larry Funck is a chemist (now retired), Raymond Lewis is a biologist, Stephen Moshier a geologist, and John Walton, an Old Testament specialist. They have the necessary background and training to deal with the scientific and biblical issues involved in questions of origins along with a strong faith and commitment to orthodox biblical Christianity. The book does not present “Christian alternatives” to mainstream science, but looks at the mainstream science carefully and accurately. The book is not written for scientists and science majors, but aimed a general lay audience. The material has been shaped and refined through many offerings of the course for non-science majors. Because this is a book for Christians, it starts with biblical interpretation and repeatedly returns to the implications for our faith. We can’t all attend Wheaton to sit in the classroom, participate in discussions, and question the professors, but we can benefit from their experience and expertise. Although a detailed look at the scientific content of this book is beyond the scope of any blog, including this one, over the next couple of months we will look at a the biblical and theological perspectives on the origin of the universe, the earth, and life. You may also comment on Understanding Origins at Jesus Creed. This entry was posted in Bible, Origin of Life, Science and Faith, The Fossil Record and tagged John Walton, Larry Funck, Raymond Lewis, Robert Bishop, Stephen Moshier. Bookmark the permalink.